Propane is used as a cooking gas and sometimes as a heating fuel. 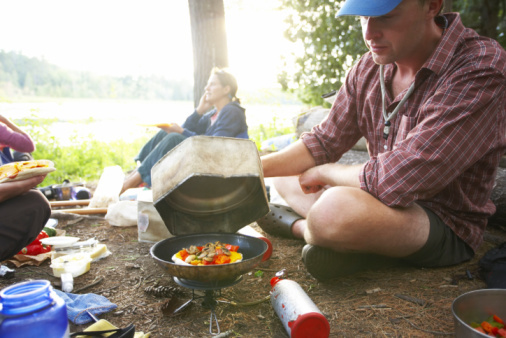 Great care must be exercised when using propane because of its explosive qualities. 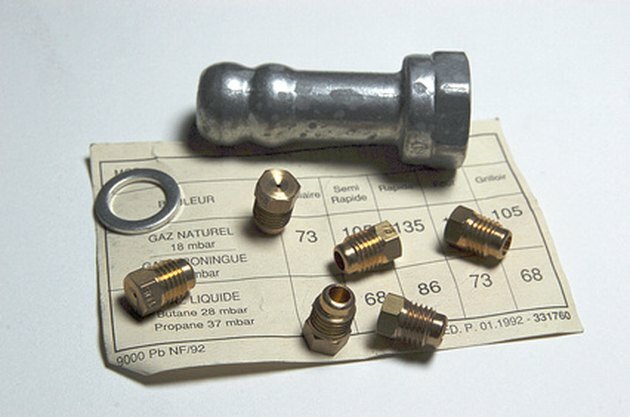 Fittings, also known as compression fittings, are used to connect lines that transfer gas from a storage tank to the appliance where it will be burned. Make sure that these fittings and the hoses that accompany them do not leak. Wrap Teflon tape around the threads of the compression fitting. Insert the connection at the end of the hose onto the compression fitting and twist until it is hand tight. Continue twisting the hose end with a wrench until it is tight. Test the connection for leaks by splashing a small amount of soapy water onto it. After several minutes, bubbles will begin to appear if there is a gas leak. Tighten the connection, and then repeat the test. If bubbles appear a second time simply replace the compression fitting and hose. Repeat the test on your new fitting and hose. Jay Angel has been a writer since 1998, specializing in scientific writing, as well as articles about fishing and hunting. He worked as a columnist for the Illinois newspapers, "Daily Chronicle" and "News Tribune." Angel has a Master of Science in fluvial geomorphology from Northern Illinois University. How to Tell If Your Gas Stove Is Leaking?